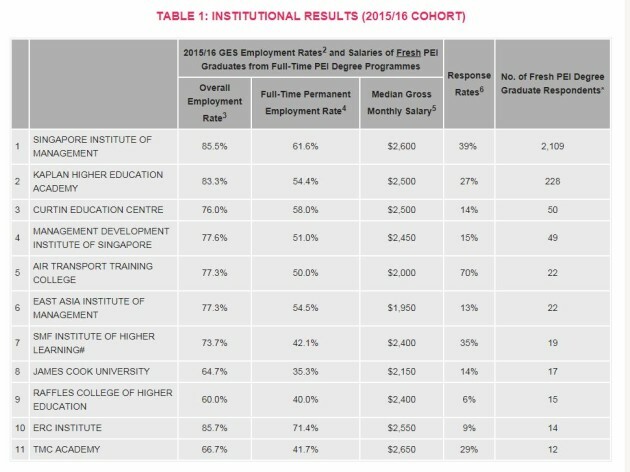 Singapore's Committee for Private Education released the results of its Private Education Institution (PEI) Graduate Employment Survey (GES)on November 15, finding that the overall employment rate of fresh graduates from PEIs six months after their final examinations was 84.3 per cent, including full-time, part-time, freelance, and contract work. 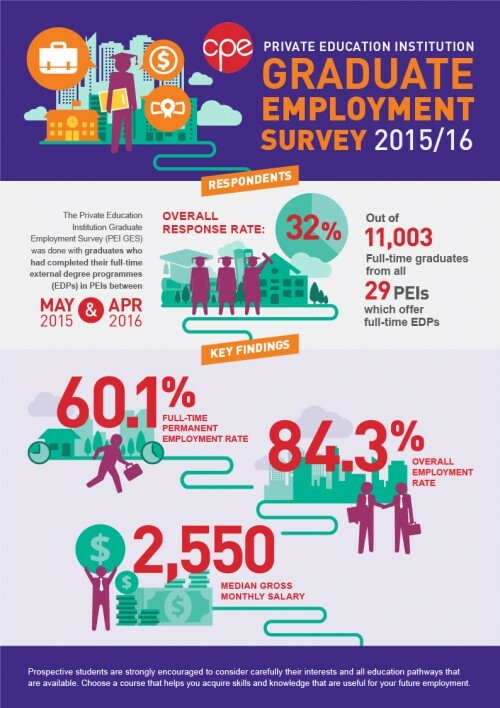 Surveying students from 40 PEIs, the survey was conducted in partnership with SkillsFuture Singapore, where 32 per cent of the 11,003 graduates invited shared responses. Taking into account just full-time permanent employment, the employment rate was 60.1 per cent. In comparison, the corresponding figures for autonomous universities (AU - NUS, NTU, SMU, SUTD, SIT) were 89.6 per cent and 79.9 per cent respectively. Brandon Lee, Director-General (Private Education), SkillsFuture Singapore, commented on future planning for private education in Singapore, "The Committee for Private Education will also continue to review its requirements periodically to ensure that consumers' interests are protected and PEIs meet minimum standards."